Coach Andrew Simmons draws from certification, experience, and hard science to help athletes achieve there goals. Andrew specializes in working with distance runners looking to conquer the 5K to the marathon and beyond. Coach Andrew is a competitive Marathon and Half Marathon Runner. Andrew started his competitive career in triathlon before dedicating himself to running. Andrew's transition to competitive sports wasn't so simple, the thought of a running a single mile was daunting with all the extra weight. Inspiration to lose the 70 lbs came after finding a flyer for a triathlon in a local bike shop. Little did he know that this small flyer would change him for the better. Andrew has continued to push his limits, completing 30+ marathons, 20+ half marathons, 35+ Triathlons which the 2011 Louisville Ironman. As if the 2011 Ironman wasn't enough Andrew took another journey by completing 3 Marathons in 8 days, in 3 states (2 back to back) in an average time of 3:08, a mere 4 weeks after completing Ironman Louisville. 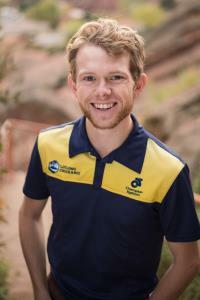 Andrew has continued to pursue his career in becoming one of the up and coming run coaches in the US. A constant pursuit of knowledge has given him a unique and effective approach to training theory that integrates functional strength, biomechanics, and physiology to produce reliable and sustainable results. Andrew is known for his fun, open, and thoughtful approach to working with athletes. A listener first he encourages athletes to be open and candid communicators. He believes that encouragement and accountability are paramount to success. Having worked with youth, masters, and elites, he can communicate and speak to the science from a basic to complex level. Success. Coach Andrew Simmons has been notified of your message. To hire Andrew Simmons as your coach, select the coaching service that is right for you.